After intense scrutiny of its factory working conditions, Foxconn  which builds most of Apple's products  has made significant changes for its workers in China. The improvements made by Foxconn were highlighted in a story published this week by The New York Times. Authors Keith Bradsher and Charles Duhigg revealed that a high-ranking official from Apple held a "critical meeting" with Foxconn's top executives in March to discuss working conditions in the company's Chinese factories. As a result of those meetings, Foxconn promised to implement a number of "wide-ranging reforms," including reducing workers' hours and significantly boosting wages. Other minor changes focused on employee safety and comfort: protective foam on low ceilings in stairwells, automatic shut-off features on machines, and cushioned seats for assembly line workers. The Times also revealed that Apple has tripled its social responsibility staff in the last year. The iPhone maker has also asked its competitors to "help curb excessive overtime in China and has reached out to advocacy groups it once rebuffed." Apple Chief Executive Tim Cook indicated earlier this year at the D10 conference that he plans to open up publicly about labor issues in an effort to be a market leader in accountability. Cook also said Apple had already placed "a ton of effort" into reducing overtime for Foxconn workers. 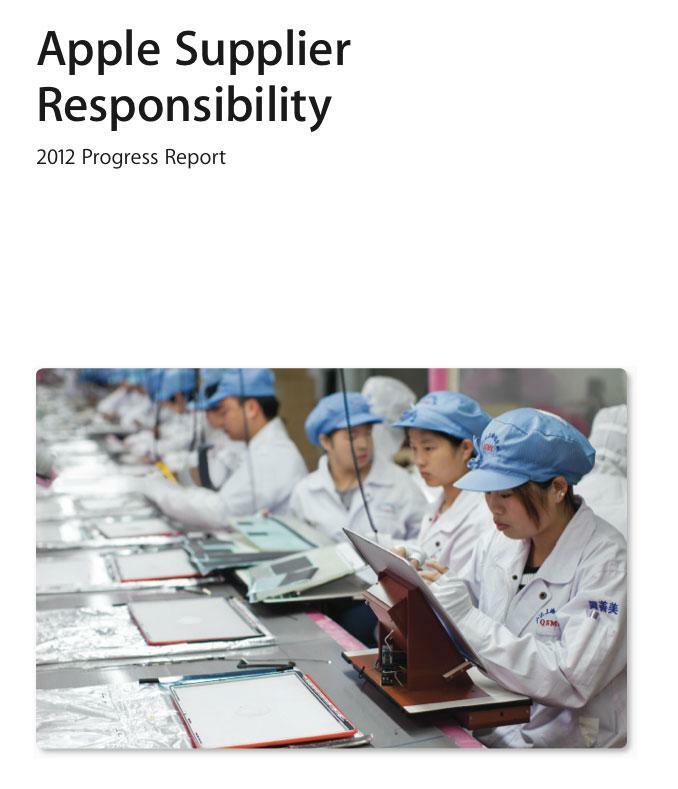 This year, for the first time ever, Apple began publishing a list of its component suppliers. Apple also became the first technology company to partner with the Fair Labor Association for independent audits of its partners' overseas factories. The company also conducts its own annual audit of hundreds of suppliers. Cook himself visited a Foxconn factory in March, around the same time that the Times revealed that an unnamed high-ranking official from Apple had discussions with Foxconn executives. The report did note that even with Apple's push for reform at Foxconn, there are still issues with illegal overtime and worker safety.